Human right organisation, Anti corruption network has accused Kaduna State government under Governor Nasir El-rufai of being intolerance of the Islamic Movement in Nigeria (IMN) also known as Shi’ites saying, the attack against them on Friday was unnecessary. 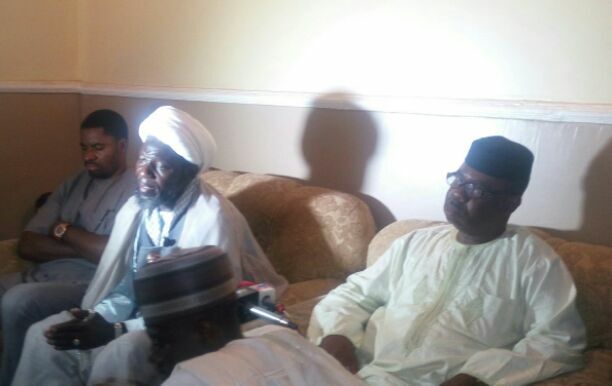 ‎The Executive Secretary of the organization, Ebenezer Oyetakin who was in Kaduna to monitor the procession said at a press conference that, after the Police had dispersed the group with tear gas and gun shots that allegedly hit one person and injured many, that the Shi’ite sect is not a violent group that any government should threaten their existence. The Kaduna State Police and other security agents had dispersed the group who were said to be observing their annual qudus day through a peaceful procession with tear gas and ‎gun shots with many injured and one young boy allegedly shot. He called on the Nigeria government to thread with caution to avoid the negative experiences of some countries when it’s citizens were pushed to the world. ‎In the same vein, ‎the convener of Concerned Nigerians, Deji Adeyanju who was also in Kaduna to monitor the procession as a way of authenticating or otherwise of the negative narratives about the shiite group. According to him, “what we experienced today (Yesterday) is nothing ‎but the height of impunity where security agencies saddled with the responsibilities of protecting her citizens decided to use tear gas to disperse a peaceful procession to the point of shooting with live ammunition. “This is what we witnessed, police started with tear gas and fired live bullet and it is rather unfortunate‎, we are calling for the release of the leader of the IMN, Sheikh Ibraheem El-Zakzaky and his wife according to the court ruling. “The same procession took place peacefully in Katsina, Gombe and Nasarawa with no fracas of any sort, why should Kaduna’s own be different. What transpired baffled me because it was a peaceful process” he reiterated. Earlier, one of the leaders of the group, Sheikh Yakubu Yahaya who spoke with an emotion laddened ‎voice lamented why security agents will open fire on armless citizens on peaceful procession. He alleged that some Governors may have been contracted to kill the Shi’ite group in Nigeria, stressing that ” we have take our case to Allah ad will seek legal redress accordingly as a law abiding citizens. “The security agents loaded in about 15 trucks heavily armed descended ‎on the armless citizens on peaceful procession, as at now, we are aware that one person was shot and several people sustained various degrees of injuries. Meanwhile, when the Acting Police Public Relation Officer‎ (PPRO) ASP Mustapha Mohammed was contacted, he confirmed that it is true that security agents stopped the procession to prevent break down of law and order. He added that investigation into what transpired is on-going, he however did not confirm any casualty as at the time of filing the report.